Should You Walk Your Puppy Before He's Had His Vaccinations? Should You Walk Your Puppy Before He’s Had His Vaccinations? I personally believe it’s OK to walk your puppy before he’s had his vaccinations. Exercising a puppy, socializing a puppy and training a puppy to go potty outside are all very important. I’m not sure if vets are truly telling people to keep their puppies indoors at all times or if people are misunderstanding the advice. That approach is extreme. I can’t imagine isolating a healthy puppy. Of course there are real risks of disease, but there are also risks to not socializing and exercising a puppy. See my post: Am I doing everything wrong with my puppy? Puppies and vaccinations – How do you find the right balance? Well said. If you read a bit further, I list tips on how you can safely socialize your puppy before he’s had his vaccinations. Each dog owner must find a realistic balance. The right balance will be different for each of us, depending on where we live, the age of the puppy and our general views on vaccinations. My rule of thumb here is to use common sense. Just because I chose to walk my puppy right away doesn’t mean that is the right choice for you. Everyone’s situation is a little different. I recommend talking with a vet you trust as well as your puppy’s breeder or shelter/rescue and see what their opinions are. 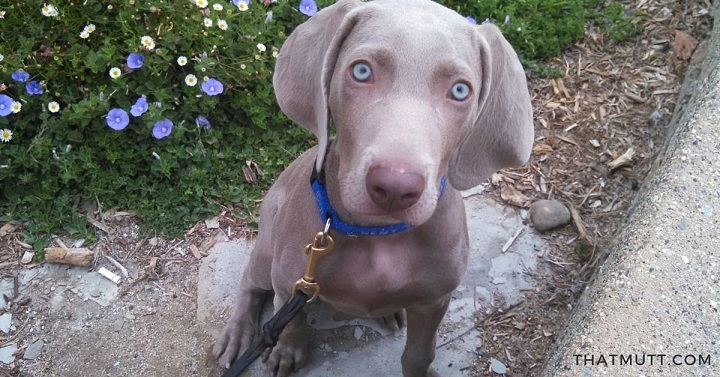 When I got my 8-week-old weimaraner puppy, he’d had his initial vaccinations from his breeder. That meant I still had to schedule additional vaccinations through our vet over the next few weeks. During that time, I walked my puppy on the sidewalks in our neighborhood. I did not take him to heavily dog-busy places such as the dog park, the dog beach or Petco. Taking him outside for potty training and walks was worth the tiny risk of my puppy getting sick. Puppy vaccinations, when to walk? Since I took my puppy outside, he had an easy time with potty training. My puppy was better behaved because he had enough exercise. He also had a chance to start socializing around different people, noises, sights and sounds in the neighborhood. Socialization is so important for a powerful breed like a weim. To be honest, I don’t know how I would’ve managed my high-energy puppy had I not been able to walk him. He was hyper enough even with walks. Yes, there are risks that your puppy could contact diseases such as parvo if you take him for walks. However, these risks are lower in some areas and pretty much non-existent in others. Also see my post: How far can I walk my puppy? I’ve made my opinion on this topic pretty clear, but I want to share some ideas from other puppy owners. I have two examples for you below. In the comments section, there are also some good examples for your consideration. 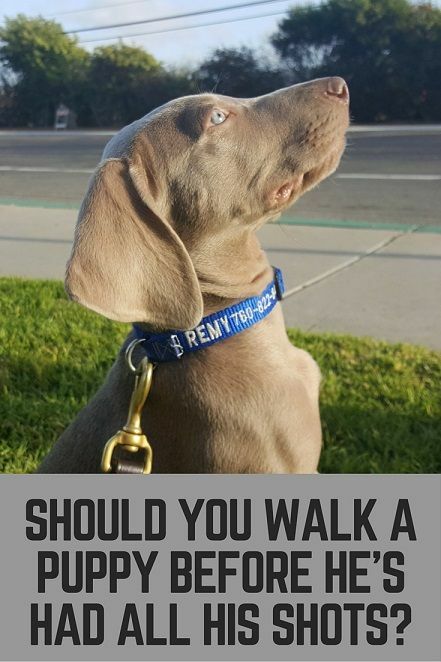 The consensus is most people do walk their puppies or start taking them to safe areas like friends’ homes with vaccinated dogs for socialization. However, there are also examples in the comments of puppies getting sick. And by all means, of course you can take your puppy out into your own yard! 1. Invite your friends over for puppy play dates. “I was really worried about canine parvo virus with our puppies, so dog parks, which have a host of risks, were out of the question,” Gauthier said. One thing she did to help socialize her puppies was to invite friends over. She also signed the pups up for a training and socialization class once they’d had the required vaccinations. And, she took them to a “puppy play hour” on Sundays. 2. Visit places where there are not a lot of dogs. 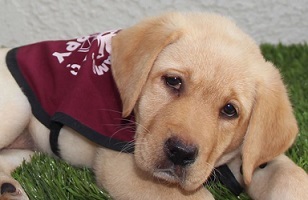 Colby Morita is a volunteer puppy raiser for groups such as Guide Dogs of America and Canine Support Teams. He writes about his experience on his blog here, and you may remember my interview with him on how to be a guide dog puppy raiser. When Morita raises a guide dog puppy, he said he brings the puppy home at 7-8 weeks of age and attends guide dog puppy kindergarten right away. It’s important to socialize the puppies while also being cautious of infectious diseases like parvo, he said. Avoid places frequented by unknown dogs, such as dog parks and pet stores, until the puppies have had their final series of vaccinations around 16 weeks. He said he gets emails every day about this subject. He suggested some ways to socialize pups such as attending puppy classes, visiting friends’ homes, taking car rides and exposing the pups to different sounds and surfaces. 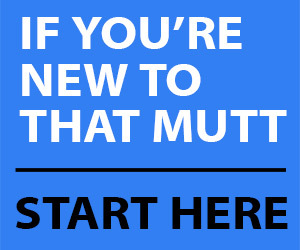 For more down-to-earth dog training tips, join That Mutt’s newsletter community. Click Here. Take your puppy for walks around the neighborhood. Avoid walking in busy places like dog beaches until she’s fully vaccinated. 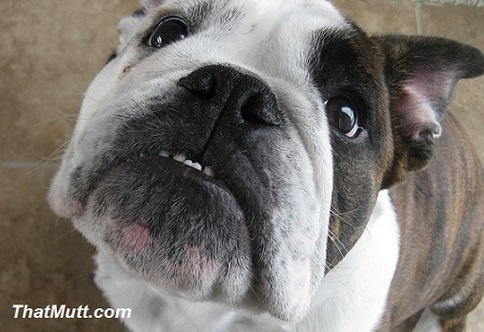 Set up play dates with vaccinated, adult dogs that are tolerant of puppies. Invite them over, or take your puppy there. Safely secure your puppy in the car, and take her for rides to get her used to the car. I like this dog seatbelt from Mighty Paw. Ask pet-obsessed friends if you can bring your puppy over for a half-hour or so. Get your puppy used to different things at home such as nail trims, having a bath & the sound of the vacuum. Also, the sound of your kid’s band instrument, seeing family members dressed in big hats and coats, etc. Have you recently raised a puppy? 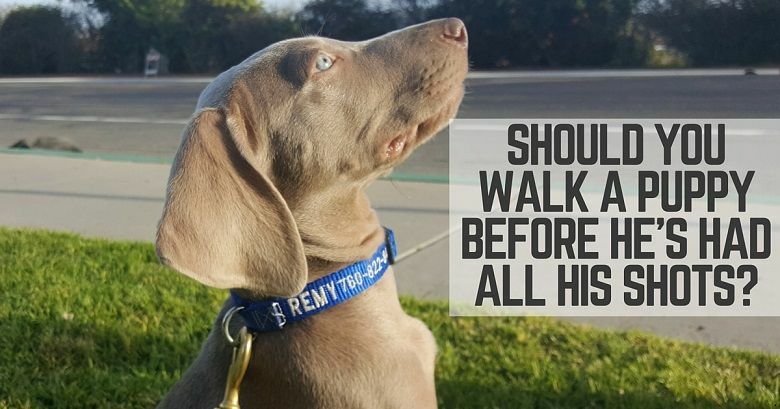 How did you find the right balance of when to walk your puppy? Socialization classes are also pretty great because the dogs there are likely to have been vaccinated and they’re usually held in a sterile, easily cleaned environment. I also hear a lot of concerns about taking puppies out but in my mind the risk of having an under socialized, fearful dog is much greater than the chances of catching anything bad as long as you take a few simple precautions as you suggest. People really keep their puppies indoors for 4 months?! I’ve never had a puppy (got all my dogs as adults), but I can’t imagine going that far. I mean, really, the dog species has survived for how many years before vaccinations were invented? Ha, I know. It sounds crazy, doesn’t it? You think it’s crazy, until you have a fully vaccinated puppy of 5 months go outside for a normal, neighborhood walk and get parvo anyway. Keep a puppy inside for 2 extra months or pay a $1000 vet bill. I’ve lived it and I will just wait a little longer next time. The thing is, in the past I have had a puppy die of parvo and one that cost me $500.00 to save his life from parvo. And the only place they were in was their own backyard!. My Mom always kept her puppy’s in the house as well until they were vaccinated and the one trip to the vet office to get those shots gave one of her puppies parvo and he died with having only one parvo shot. So, as you can see some can live in a heavy parvo area and the puppy’s really do need to stay in the house . At least until their 2nd parvo shot. How do you know if you are in a heavy parvo area? I have a 11 week old spaniel/poodle and she is bouncing off the walls. She needs at least 3 hrs of exercise a day. You could ask local vets and local shelters/rescues. They might have some idea. It’s mostly dog parks and dog beaches you’d want to avoid, areas with lots of dogs. 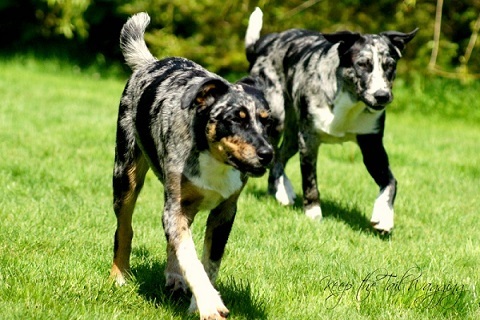 The parvo virus can live in your yard for about 7 years. We don’t take puppies to dog parks, festivals or other crowded areas until they are fully vaccinated, but they go on walks from day 1, meet friends of ours we know are healthy and vaccinated, go with us to visit others. We would never keep them from a walk and being out and about. Great tips. I love the opportunity to go visit a friend with a puppy. This is such as great article since a lot of people are confused by this issue. A little common sense goes a long way. If you just avoid places that are likely to have dogs that might not be vaccinated, you can still take your dog out of the house and even do some socializing while they’re at the perfect age to socialize. One great and fun thing to do with your puppy is to go to a coffee shop and hang around on the outdoor patio. When I first got Pierson, he was already a year old and so I didn’t have to worry about finding a balance. But due to his skittishness, I wanted to introduce him to things slowly. Going to the coffee shop during slower times was perfect for him. He can still be a little shy, but he is much more sociable than he was when I first got him. Yes, I love to do this with Ace, although it seems like a bit much for a lot of the dogs I know. I guess if you go at a quiet time like you said and sit on an end with fewer people it could work out great. I just got a lab/heeler mix puppy. he is 16 weeks old and only has his first set of shots. All the talk out there makes me paranoid when everyone including my vet says absolutely no outside. I live in a townhouse so no backyard, there is a little field / public space out back that we have been taking him to do his business. But i have kind of been at a loss with him. he is already pretty big and is way to restless in the house. This was kind of helpful. we have an 8 week-old shepherd (sable and anatolian) that we were walking around the neighborhood but the vet said we better not. he’s only had one distemper shot and one deworm. It’s definitely something where you have to weigh the pros and the cons. So hard to say. Omg, im paranoid, my 10 week old puppies have had there first set and are due to have their second set in like 3 weeks. Im going crazy, they are getting too big and are running all over the house, but i refused to let them go outside fearing they might get sick. We had a 2 month old puppy that we took outside on our front lawn thinkin it was save, she got Parvo and almost died on us, it cost me about 400.00 dollars. Sorry to hear that Debbie. Good luck with everything. I have an 8 week old Lab/Dalmation mix who has just had his first injection. Whilst at the vets we mentioned my son brings his dog to visit and “Ozzy” socialises well with him. The vet said stop the other dog coming to visit because even though he is fully vaccinated he could be a carrier for many diseases. Is this correct ? it was also mentioned he could be walking where other dogs (non vaccinated) have been and could carry Parvo etc on his feet ? It is correct. But … I think worth the slight risk for having a socialized and tired puppy. You can track certain things in too from your shoes, etc. Take the puppy outside for walks and playtime as soon as he’s had that first set of shots. I am so sick of these vets establishing a fear of something that will not likely happen if the owner is responsible and paying attention to what their dog is doing. Your puppy is on a leash. How can he get into something when you’re standing right there with physical control over him? Pay attention and pull him away from dog poop areas, keep him on the sidewalk/path, and if you have a yard, let him go play in the yard under supervision and on a leash. However, keep your walks short, especially with the summer heat. Puppies get overheated very easily (dogs in general don’t withstand heat as well as cold anyway), so keep walks to 5-10 minutes at first. Then add another 5 minutes every two weeks. Also, take that puppy EVERYWHERE. Take him to stores, parks, busy streets, places with loud noises, etc. If you need to, carry him around in the store because you’re worried about people stepping on him or dogs bothering him or disease, do so. If you have neighbors or friends with dogs that are well-behaved and vaccinated, let him meet them. Don’t let him meet dogs that pull/lunge on the leash, obsessively stare, or have a tendency to jump all over the place. You want calm dogs. Let him walk and climb on all kinds of surfaces: gravel, pavement, asphalt, dirt, grass, rocks, stairs, bricks. Whatever you can think of. Let him experience strange shaped objects like balloons, PVC pipes sticking out of the ground, cats, cars, baby strollers, bicycles, fallen trees. Let him experience loud noises outside and inside. Socialization is also about environmental exposure as much as it is about people and dog contact. They need to understand that while the world is big and scary, 99% of that world doesn’t care about the puppy walking through it. Further, every time your puppy is calm when approaching something strange, new, or something they’re scared of, praise him. Pick the treat your puppy loves the most, and give it to him every time he’s brave and approaches something out of curiosity. Also reward him each time he calmly approaches a person or another dog. You do not want to let him be that annoying yappy dog that pulls on the leash, barking and carrying on when he sees a person. And just as a side note, teach that puppy to sit. A puppy at 9 weeks can learn sit no problem. Just make him sit for everything: putting down his food/water bowl, greeting people, when putting on/taking off the leash, when you give him a toy, when you give him a treat, when you’re waiting to cross a street. Just every thing. He will pick up sit and do it reliably in no time (because it’ll become an everyday thing to do). Learning sit is the very basics of good dog manners. We took our German Shepherd puppy out on a walk on day 1 of him coming home. He was 8 weeks old and already had his first round of shots. He met our neighbors and neighborhood dogs. At 9 weeks, we had him walking in the woods and passing by other dogs hiking. At 10 weeks, he was capable at walking 2 miles (so long as it was early in the morning and cool). At 11 weeks we took him to the local farmers market to experience crowds, traffic, dogs walking by, food stalls, children, railroad tracks, a train, loud bell ringing, children playing, and on and on… He also got bacon ends from a stall, so that made the whole experience very welcome. At 12 weeks, we were teaching him to sit at stalls and store counters while we paid for our merchandise. We taught him to sit when greeting people instead of rushing up to them. Now at 16 weeks, he’s had 3 rounds of shots and is going in for his rabies shot today. He’s well-mannered, and many people compliment us on his good manners. This article had really helped me feel better about bringing my pup around and getting out more. He’s a 12 wk old boxer/ hound mix puppy and is quite active, we use the backyard for potty training and some play but I worry about diseases like crazy. I adopted him last week from a kind lady that took in his feral pregnant mom, he’s 12 weeks with no shots we go this Thursday. I want to get him out more to burn some energy but I’ve been too nervous. I didn’t even think about car rides and we’ll definitely visit my parents and there 2 older dogs really soon. i was very skeptical taking my dog to places b4 she had all of her shots. i am still skeptical today. they can pick up things so easily. we went to costume party at a local pet store last yr and did not really walk around outside but they got some type of virus that gave them diarrhea and had to go to vet. they had upset tummies. even at dog events where all of the dogs are supposed to be vaccinated, my girls had still picked up things. i try to wipe off their feet and mouths as well as my feet b4 i get back in my car and head home. my dog breeder would do this at the show. b4 we left the show ring she wiped the dogs, and b4 we entered her rv area, all shoes, paws, etc were wiped with antibacterial sprays and wipes. my girls did not get their vaccinations til they were older because they were small and did not weigh enough. i had abt 3 people , 2 were vets said not to vaccinate til they were older and weighed more. i also do not let my dog take treats from strangers or off the ground or drink out of a community water bowl. i also take my water with me. i think it is good to socialize your pups but you have to have caution. everyone wants to hold and kiss puppies and sometimes that is not good for the dog. i dont even take my dogs to the dog stores to go shopping b/c so many dogs go in their, you never know if they have had all of their shots, we dont go to playgrounds or dog parks either. thank goodness i live in the county and have lots of area, 11 acres. but then i have to be cautious abt the wild life. You sound very practical and smart! These days everyone is lax insofar as ‘universal precautions’ is concerned for themself, so why would I trust their pet habits? Some call me OCD, but. like U, I am always careful! I’m so nervous right now. I just took my 4-5 mo old pup to the pet store and walked hI’m around on the leash for a little while, several other dogs in the store until I talked to one of the trainers there that told me I shouldn’t before he had his second set of shots! I picked him up immediately and held him the ready of the trip and went straight home. We are taking him to the vet tomorrow to get his shots but I’m terrified right now. How long agar being exposed would be start showing symptoms? I told the trainer I was looking for teething toys because his teeth are falling out and he is chewing on me like crazy. He said he might actually be more like 5 mo and could possibly already have two sets of shots. He came from a shelter that rescues from over crowded pounds. So he started at another shelter/pound thenot was brought to the second one, where we rescued him from. The guy said he might have already had two sets of shots, one from the pound and another for sure from the shelter. I really can’t say for sure how old he is or what he’s had, other than the shots he’s definitely had from the second shelter. Anyways, I feel like the worst puppy mom ever, and I’m freaking out! Anyone work any knowledge on this please help! I was taught from a very good breeder not to walk puppies who are not up to date on shots on unknown ground! I’ve always adhered to his advise (he maybe old school but he knows his stuff!). So when I got my Pit Pup, I walked him around my yard Because I knew it was safe, When I took him to other peoples homes to visit, I carried him, If they had dogs of their own I held him, and didn’t let him roam through their house with their dogs until he had all his shots. When I took him to stores that allowed dogs (Farm stores such as Tractor Supply) he rode in the cart where a human Child would sit, Only on a Blanket not on the bare cart. Lindsay, where are you getting your information from? In all my years, I have never heard that’s it’s ok to take puppies outside before they’ve had all of their shots. That’s just insane and irresponsible dog ownership. Keep them inside until all vaccinations have been given! Better safe than sorry. As far as exercise goes, play an indoor game of fetch with them. Tires them out after a few rounds! As you can see from the post, it’s all about balance. Not an extreme either way. I am so grateful you put this article together and will be sharing it with my dog walking clients when they get puppies. There is a balance to be reached; you CAN keep your puppy safe and socialize it at the same time. Thank you for sharing! Thanks so much, Cara! So much depends on the exact area you live in, too (as you know). We always took Razor on walks as a Pup, but we never intentionally avoided parks! We are looking to get a puppy for our daughter’s birthday and want to know more about vaccinations. It is good to know that one should avoid places frequented by unknown dogs until the puppy has had their final series of vaccinations. I am glad to learn that this should be happening around 16 weeks. We will keep this in mind, thanks. It does depend upon the circumstances, too. My puppy contracted parvo a week after I got him. Luckily he recovered after a week in the hospital, but we started all over with vaccines and had to keep him indoors — for his sake and for other doggies in the neighborhood. My vet was fine with a neighborhood walk, after a couple weeks post recovery, but I’ve been a nervous nelly! (I do have a big backyard where he gets plenty of fresh air and exercise.) I think those that have gone through parvo, or other illness, would rather be behind on socialization (for a bit) to ensure they build up their immunity and stay healthy! I am a new puppy owner of a 13 week old shihtzu/lab. He received his second set of shots today and after reading the comments in this section, I’m a bit nervous about my past behaviors. I live in NYC and usually took my puppy outside to potty twice a day. The potty session usually lasts for about 5-10 mins. After reading this article, I kind of want to keep him inside until after his third round of shots, which will be in the first week of Jan. My only fear is house training, he does not take to the wee-wee pad, so going outdoors has decreased the amount of poop and per I clean up daily. 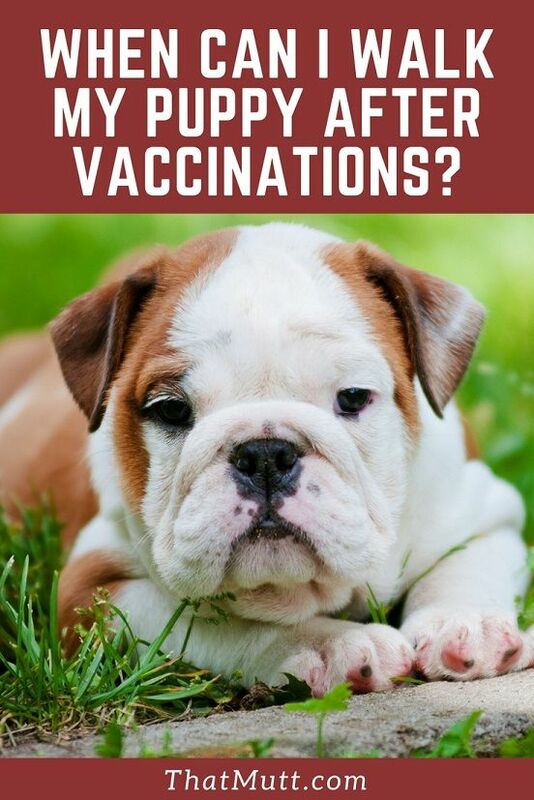 I have had numerous puppies that were not vaccinated for anything (the only thing we vaccinate for is rabies which is required by law) and they were out of the house since day one. Never had a sick dog and never had a dog catch anything. We have gone to pet stores and out in public places, places where coyotes live (the woods) and they have all lived long healthy lives. If you do your research, the body builds up its own immunities to diseases by being exposed to them (small quantities at a time such as being out in public). Most cases of dogs catching parvo (and this is just in my research) is from dogs that were vaccinated against it. That right there told me to stay away from the vaccine. And if you research on the net, there are alternatives besides the thousands of dollars the vet charges you to get your dog through parvo (parvaid, hydration with pedilyte, homeopathy, etc). I will be getting a 9 week old puppy next weekend. I have two fenced yards, one being a pea gravel filled dog run. Also a large backyard. I have two adult dogs, one is almost 12yr old Collie and the other is a 4 yr old Lab mix. I assumed I would let her potty in the dog run and come in the house. I appreciate these perspectives. My vet was telling me backyard only for the first 6 months (Buck the weim pup was 7 weeks at the time). About a week after that I did a bit of my own research – including finding this website – and decided to take take a day off work so I could bring him to a fairly secluded beach and to a dog friendly restaurant at a non-busy time. Buck, my son and I ate on the outdoor patio and he met probably 15 people that day and no dogs. Just what I was hoping for. We’ll do the dog meetings in the controlled environment of the puppy socialization classes. After reading some more here I’ve begun extending his walks in the hood out to about 20 minutes. Really good for him – helps him get his energy out (a tired weim is a good weim!). I too estimate that my neighborhood is very low risk. I might take a different path if I felt differently about the neighborhood pooches. After reading this blog and talking with friends who have dogs it seems to me that the vets advice is to be tempered in about the same way you would temper your physician’s advice if he was counseling you on the 10 cigars a year you might smoke, or taking up skydiving, or suchlike. Risk-averse group, I suppose. I’ll be very patient about getting young Buck out there jogging but very much looking forward to that – he may well leave me in the dust with his energy level!